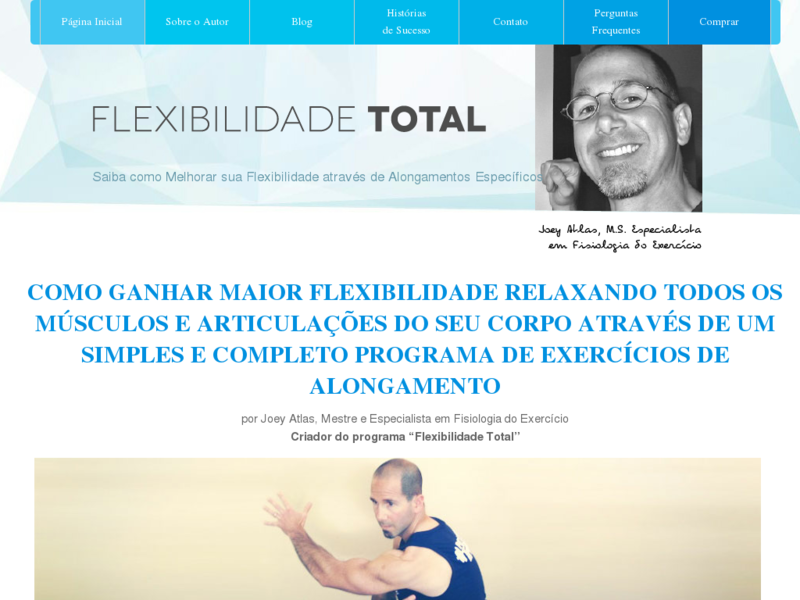 Flexibilidade Total (new Joey Atlas' Program In Portuguese). The New Program Of The Best Seller Author Joey Atlas (creator Of Truth About Cellulite) Arrives In Portuguese Version. It´s A Stretching Program For Optimum Flexibility. It Improves Sport Activities Performance And Reduce Body Injuries. 75% Commission!